1. 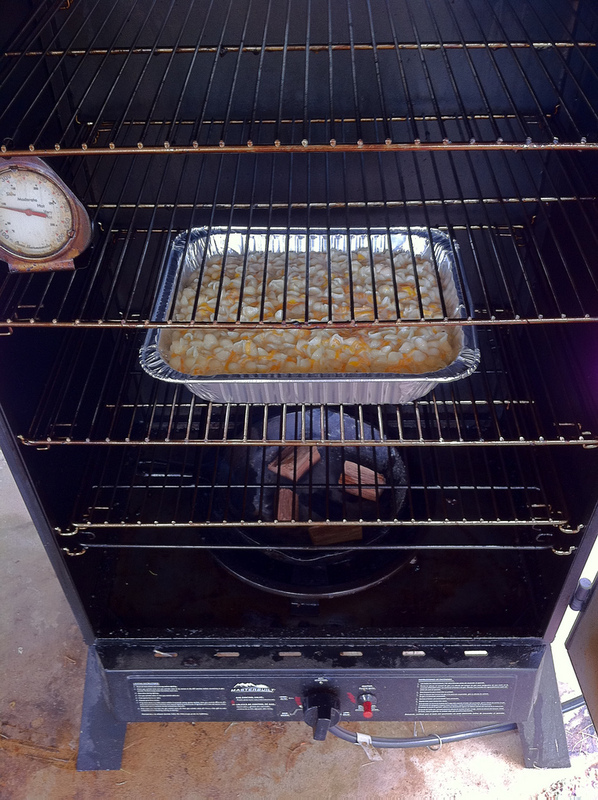 Preheat smoker to 250º. I'd suggest hickory for your first attempt as it is a good baseline, but be creative. 2. Cook pasta per instructions on bag. 3. 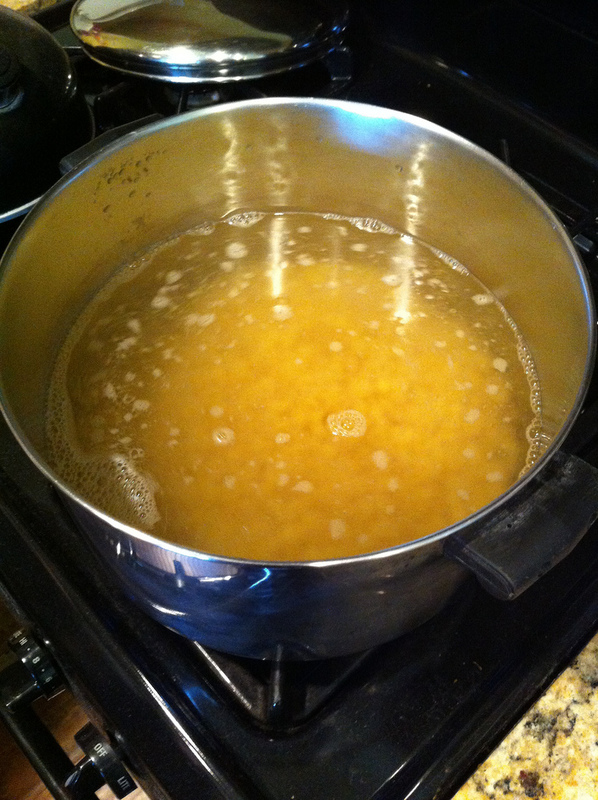 In a separate bowl, mix cheese, cheddar cheese soup, Half & Half, softened butter. This will look kind of gross. 4. Combine pasta and gross looking cheesy liquid mix and stir till reasonably combined. This will look less gross, but still kind of gross. 5. 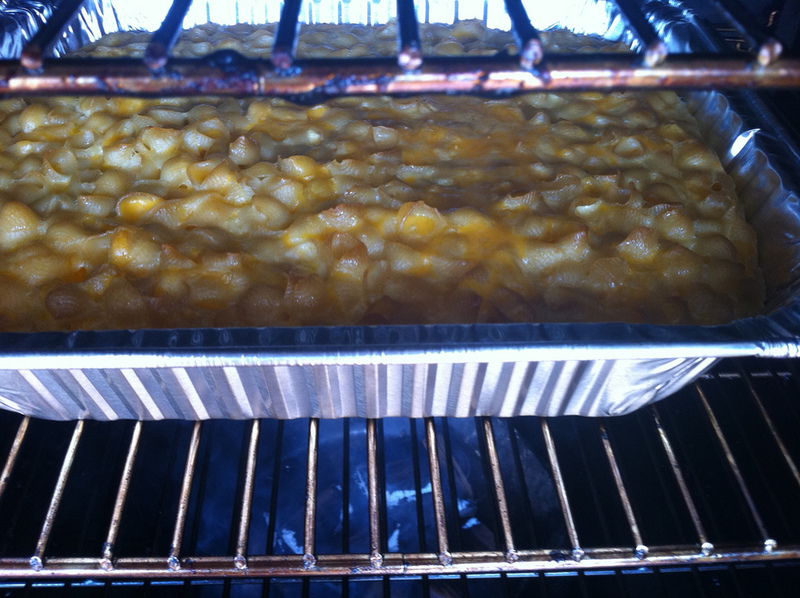 Pour cheesy noodle mixture into a half chafing tray, and place uncovered in the smoker. 6. Smoke at 250º for about 2 hours. You'll know it's done when the tips of the noodles start to brown. Might look gross. Don't worry. You'll know it's done when the tips of the noodles start to brown. For a more even smoked flavor, stir before serving.